Our engineers started with a clean sheet of paper, to create an instrument series like no other. 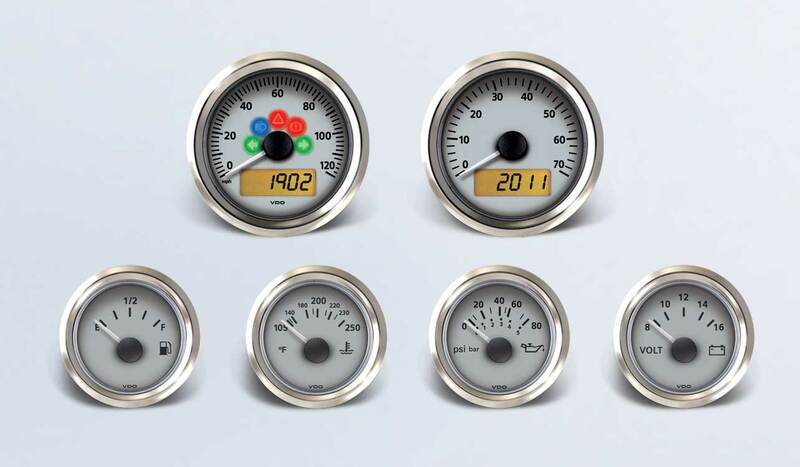 Available in Onyx, Sterling and Ivory dial faces, ViewLine can be customized with your choice of six different bezels, or it can be mounted from behind to be flush with your dash or instrument panel. Our new wiring harness makes installation a simple “plug-n-play,” and like every VDO gauge, ViewLine is built with our own, patented components to ensure rock solid reliability. ViewLine features include integrated turn signals and warning lights, LED illumination and multifunction LCD displays, built-in LED warning lights, short circuit protection, IP67 water resistance and anti-corrosion materials.